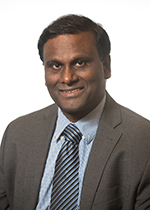 Dr. Satish K. Nune came to PNNL in 2009, he is a senior scientist in Applied Functional Group at Pacific Northwest National Laboratory with a background in nanomaterial synthesis and functionalization. He is internationally known as an innovator in the development of porous nanomaterials for water management, geothermal fluids, low temperature geothermal applications, and energy storage. He serves as a principal investigator (PI) and Co-PI on various projects funded by PNNL-LDRD, U.S. Department of Energy’s (DOE)-ARPA-E and Geothermal Office (GTO). Dr. Nune has organized and co-organized multiple symposiums at American Chemical Society’s (ACS-ENFL) division and AICHE-Nanoparticles (3D). Dr. Nune has over 60 peer-reviewed publications (3 more in press) including 4 reviews, 1 book chapter and 12 patents (4 US patents and 5 Japan patents issued; 3 US patents filed). His research work is highly regarded with numerous citations (>2590) from research groups worldwide and has h-index 24. He is the topic area, Nanoparticles (3D) chair at 2018 AICHE meeting. He was also an adjunct teaching faculty at Washington State University (WSU-Tri-Cities), taught Nanomaterials (537). Dr. Nune recently accepted to be on editorial board for SCIENTIFIC REPORTS published by Springer NATURE. Topic Area Chair, Nanoparticles (3D), AICHE, 2018. Chair, Organic Chemistry Division, ACS-NORM 2018. Session Chair/ Co-Chair ENFL, American Chemical Society (ACS). President (2018-2019), LabOratories Club, Toastmasters International Club located in Richland Washington. Treasurer (2017-Present), Lab Oratories, President's Distinguished club of Toastmasters International located in Richland Washington. 2009, 2011 and 2013 Outstanding performance award, PNNL, Richland WA. Outstanding Performance in Academics, during 1994, 1995, 1997; Madhu Malancha Degree College, Osmania University. Raghupathi Venkaiah Memorial Award-Outstanding Overall Performance in 1997, Madhu Malancha Degree College, Osmania University. Basheeruddin Babukhan Memorial Award- Outstanding Overall Performance 1994, Madhu Malancha Degree College, Osmania University. U.S. Patent No. 10,179,320, January 15, 2019, "PROCESS FOR MAKING CARBON-BASED NANO-RODS FROM SWITCHABLE IONIC LIQUIDS AND DEVICES AND PROCESSES INCORPORATING SAME". U.S. Patent No. 9,499,880, November 22, 2016, "SYSTEM AND PROCESS FOR PRODUCTION OF MAGNESIUM METAL AND MAGNESIUM HYDRIDE FROM MAGNESIUM-CONTAINING SALTS AND BRINES ".